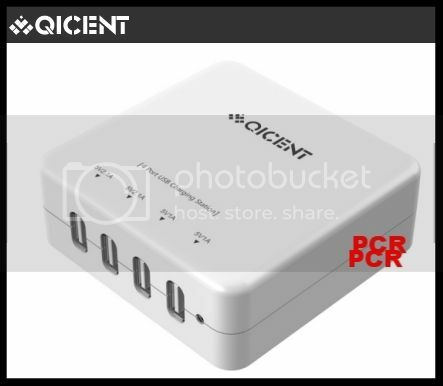 31Watt 4-Port USB Charger for iPhone, iPad, Samsung,etc, Supporting Many Devices Charging The Same Time. 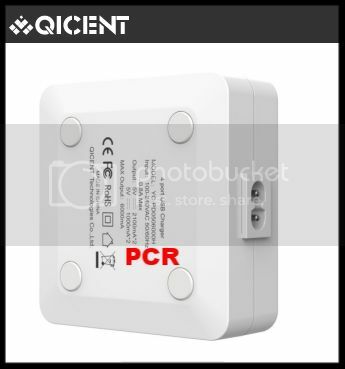 Support input: 110-240VAC 50-60Hz, Output: 5V/1A*2,5V/2.1A*2 Over-heated, Over-current, Over-charging protection. Built with industry grade Anti-fire ABS materials and premium circuitry. CE, FCC & RoHS certified to ensure complete safety and reliability.